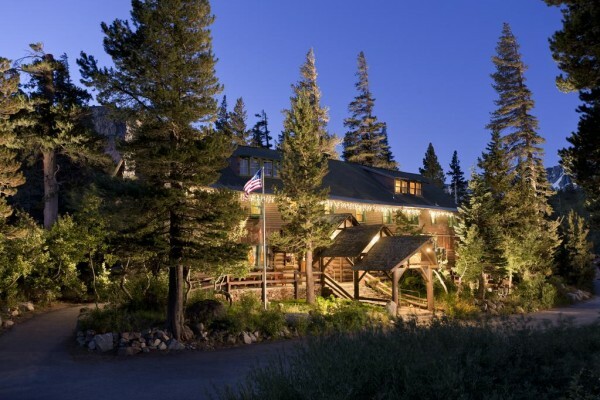 Tamarack Lodge is located right at Twin Lakes, under 10 minutes from downtown Mammoth Lakes. 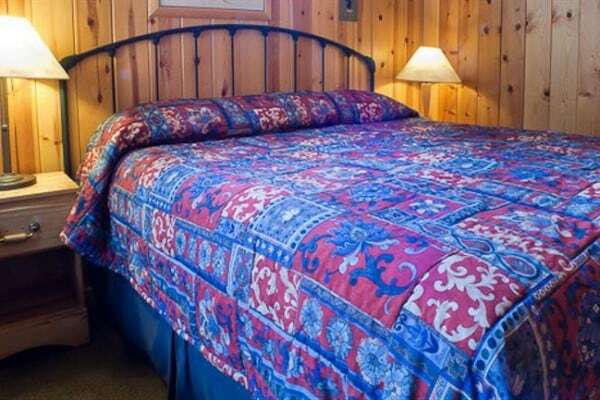 The resort features lodge rooms and 35 cabins. 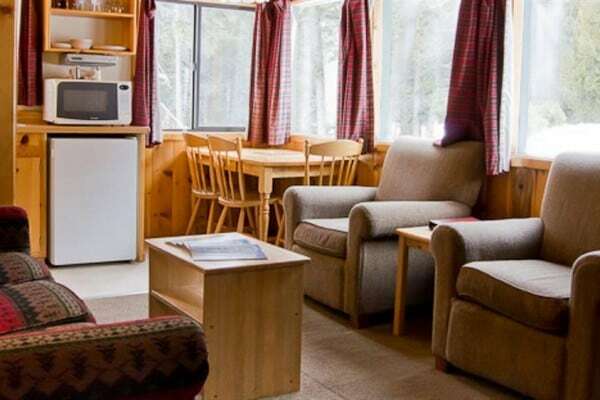 The Historic One Bedroom Cabin can sleep up to 4 people. One bedroom has a king bed and there is a queen sofa sleeper. It has a roomy living area, full bathroom, an efficiency kitchen, and a fireplace.